People want quality for their time, not quantity. Customers appreciate companies that understand the value of time and efficiency. Time is a precious and limited resource that people want to spend wisely. This applies across industries and doesn’t matter whether you’re working in B2B or B2C. B2B is an important part of the B2C journey. B2Bs must understand the role they play in the customer journey. When we provide an enhanced customer journey through quality service, that value gets passed on to end-consumers. In payments for example, we facilitate a pivotal part of the consumer’s experience with the brands we work with, thereby helping our customers convert and satisfy their customers. Your customers will determine your success. Customer-driven businesses are those that can capture the voice of the customer into their decision-making and operate on a partnership-level, rather than as a one-way street. When you incorporate a continuous customer feedback and response loop, you create more trust and develop a stronger dialogue with your customers. These will help you meet their needs better and ultimately determine their satisfaction levels and your success. Excellent customer service is an all-around important aspiration, regardless of which industry you work in. In the eCommerce industry, B2B product and service providers play a significant role in the customers’ experience. Technologies that only a short time ago seemed futuristic to most people are now being implemented in both B2B and B2C environments. Many global merchants are using technology to open concept stores based on experience and brand value rather than just merchandise. Technologies such as 3D and augmented reality are entering the retail space to create better, simplified and more personalized experiences. We observed these trends in the industry and realized that these technologies aren’t reserved just for the retail space alone. 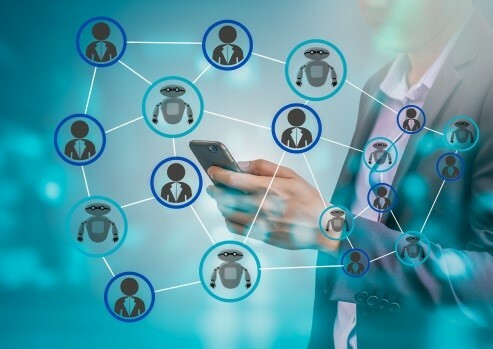 Artificial intelligence (AI) and other advanced technologies, such as machine learning are becoming increasingly adopted and improved across the entire customer journey. With technology advancing even faster than Moore’s Law originally predicted, about half of my time is allocated to staying ahead of these trends and finding new ways to offer a faster, easier and better levels of service for eCommerce merchants. Collect data: Make use of all the data that comes from all your interactions with customers – conversations, emails, chats, etc. Use this data to teach your systems about your customer needs and the questions that arise most frequently. These may be extremely general to the industry or specific to your company; in fact, they’ll probably be both. Apply learnings: Learn what your customers might be wondering and be ready to help them the moment they need it. Proactively communicate in advance and make sure that important information is easily accessible to your customer care teams and if possible, the clients themselves. Anticipating customers’ questions will help you respond faster to inquiries and create win-win situations. Focus on quality: Make sure that the time spent with customers is quality time. In other words, let your systems take care of the first and occasionally second line of questions. This will free your teams up to interact with customers when they truly need it, alleviating the demands on your team and improving the quality of the interaction for both sides. Many eCommerce merchants we work with are implementing chatbots and utilizing AI and other technologies to provide better service to their customers. Behind the scenes at Ingenico ePayments, we are looking towards AI solutions to provide that same level of ease and speed to our own customer interactions. As with the implementation of any new technology, our journey into AI is one that’s still in development, but as is the nature of innovation, we are committed to testing out new ways to bring customer experience to the foreground. Our customers will soon be the judges of the impact it makes on their experience with Ingenico ePayments.